Collard greens are a type of leafy green vegetable common in southern U.S. cooking. They're a member of the same group of plants that also includes kale, turnips, and mustard. Indeed, collard greens share many characteristics with kale, turnip greens, and mustard greens, and they're all typically prepared in the same way (at least in the southern U.S., which is where they're most popular). 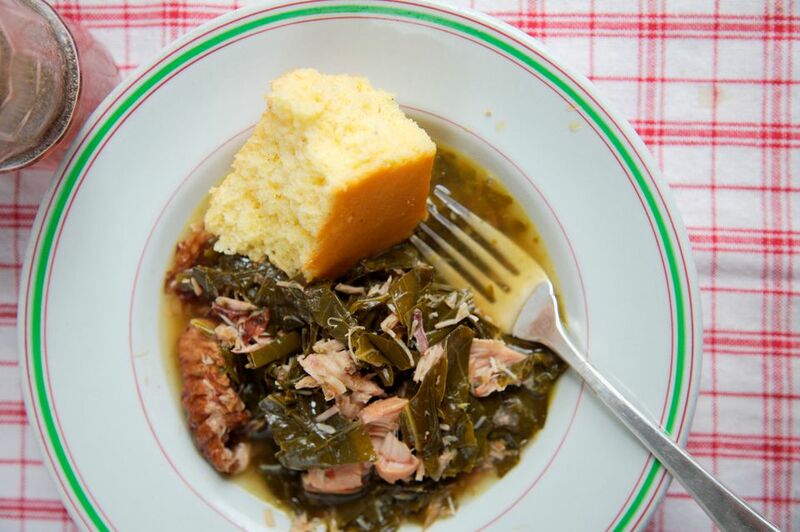 Collard greens need to be washed thoroughly before cooking them, as they can carry a lot of grit in them. But there's no point washing the parts you're not going to cook. So the first step is to remove the stems. Note that simmering refers to a temperature range of 180 F to 205 F, so the water should not be at a full rolling boil.